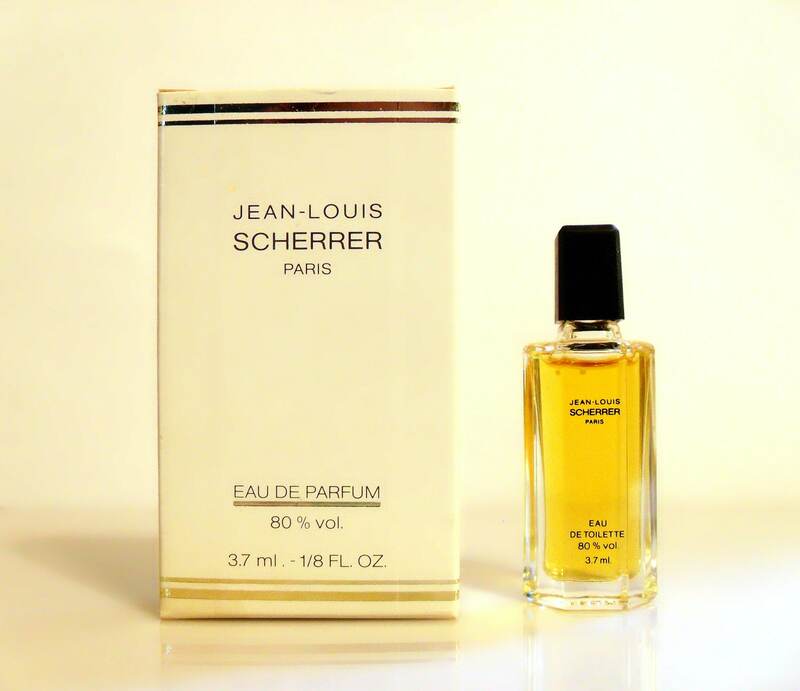 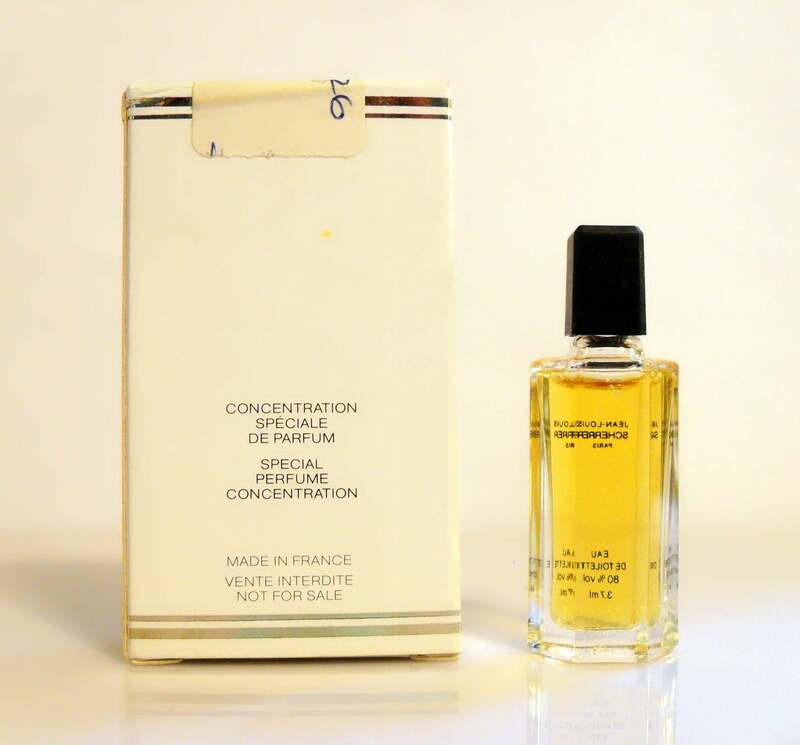 Vintage 1980s Jean-Louis Scherrer 3.7 ml Eau de Toilette Splash Miniature Perfume and Box. 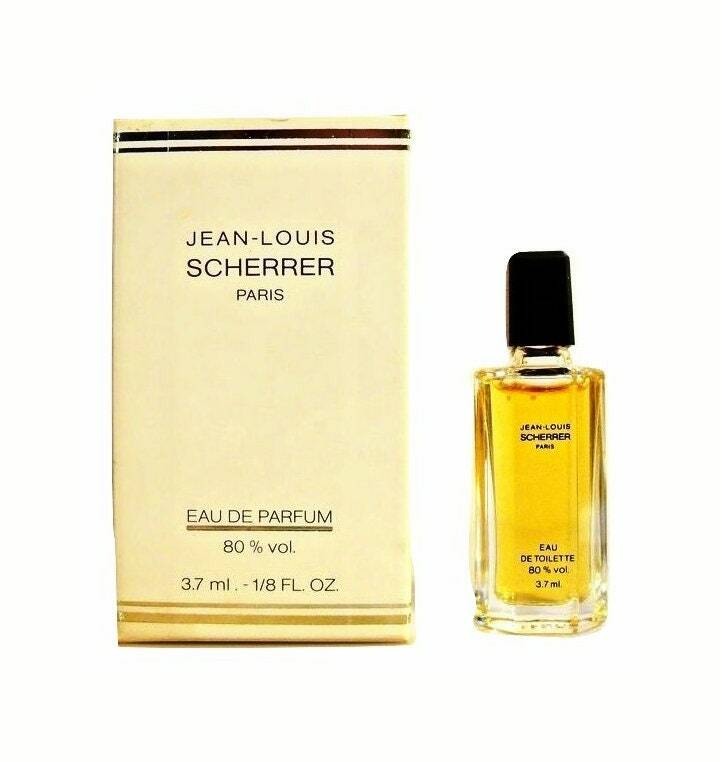 Launched in 1979, it is classified as a fresh fruity floral fragrance for women. 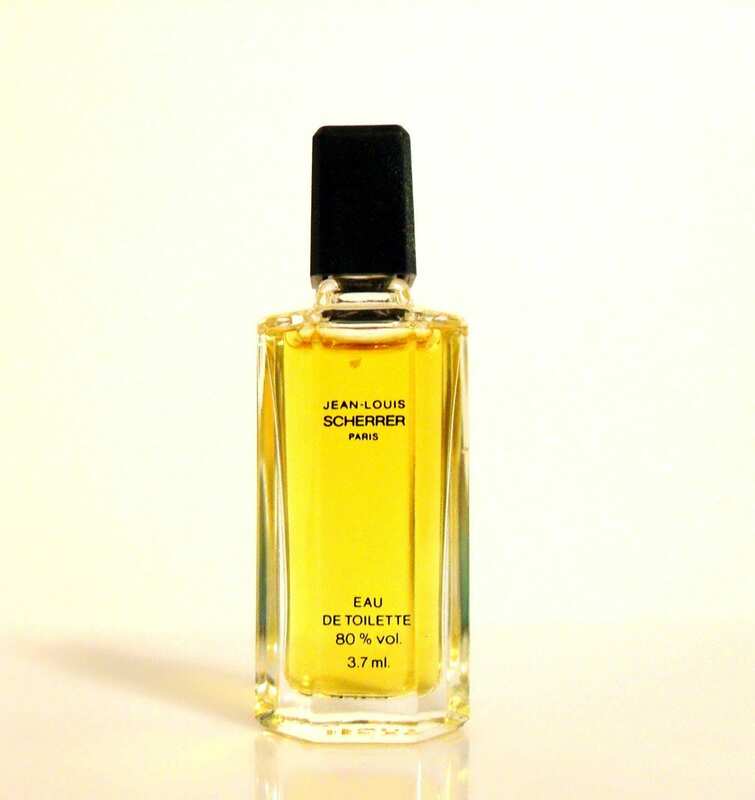 It begins with a green, fruity top, followed by an exotic floral heart, resting on a sensual, powdery, woody base. 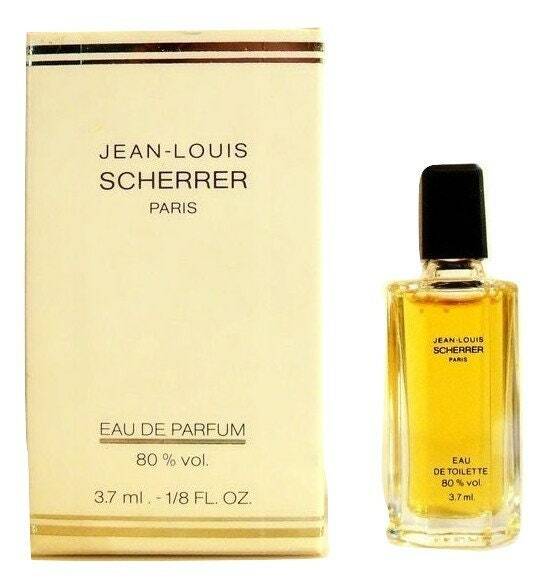 Also known as Scherrer and Scherrer I.